For example, if people are obsessed with germs or dirt, they may develop a compulsion to wash their hands over and over again. If they develop an obsession with intruders, they may lock and re-lock their doors many times before going to bed. Being afraid of social embarrassment may prompt people with OCD to comb their hair compulsively in front of a mirror-sometimes they get “caught” in the mirror and can’t move away from it. Performing such rituals is not pleasurable. At best, it produces temporary relief from the anxiety created by obsessive thoughts. Healthy people also have rituals, such as checking to see if the stove is off several times before leaving the house. The difference is that people with OCD perform their rituals even though doing so interferes with daily life and they find the repetition distressing. 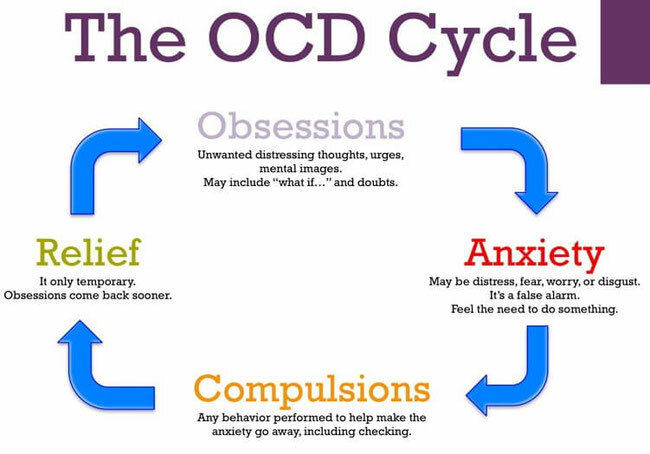 Although most adults with OCD recognise that what they are doing is senseless, some adults and most children may not realise that their behaviour is out of the ordinary.